ERP Software Philippines | Fasttrack Solutions Inc. The popularity of ERP software in many countries shows that in an increasingly interconnected world, task-specific software is no longer enough. ERP stands for enterprise resource planning, and ERP software allows a business organization to integrate the internal and external aspects of its operations in a single system. An ERP software thus enables a business to have a single information system for the entire spectrum of its operations — from finance and accounting, manufacturing, sales and services, customer relationship management, e commerce and distribution. The demand for ERP software has increased as more and more businesses need to sync their data and come up with one coherent story for the entire organization. In turn, decision-makers in the company are able to take faster and more informed action. 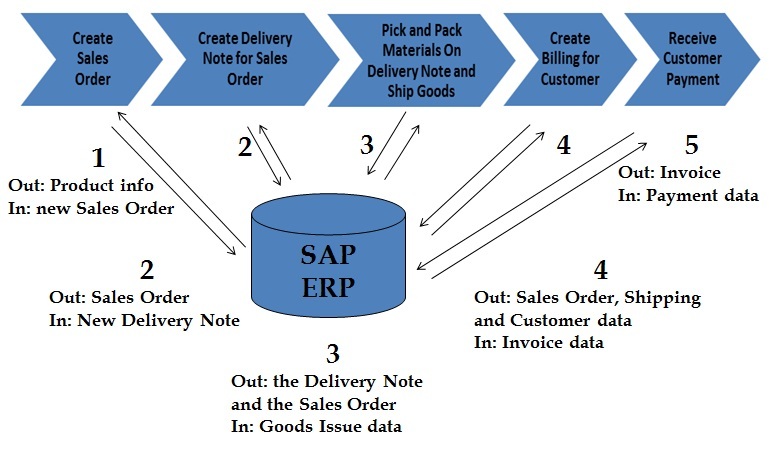 A good ERP such as the SAP System is one that allows a smooth information flow between and among the different units of the organization. This is the internal benefit. Externally, a good ERP software should also be able to connect the company easily to its many stakeholders – clients, creditors, investors, even regulatory agencies. Because of these advantages, ERP software companies have significantly gained popularity – and revenue — in recent years. Big businesses rely greatly on their ERP software, without which the companies would revert to the dark ages of stand-alone reporting, discrepancies, human error and gross inefficiency. An ERP software can run on many different kinds of hardware and network configurations. Foremost, a company has to have a database that acts as a supreme repository of all types of information from all aspects of the business operation of the company. Nearly all kinds of ERP software share the same basic characteristics. First, the integrated system itself must operate in real time without any need for periodic updates. There must be a common database which supports all applications. Finally, while it is composed of numerous modules, the “look and feel” must be the same, similar or at least consistent from one module to another. Some companies also run a two-tiered ERP software, one for the purpose of corporate requirements, and another for subsidiary or division needs. There are challenges, of course. Foremost, customization could be problematic especially for companies adopting the ERP software for the first time. The activities to make all business processes fit within the ERP system could also be distracting, taking time and attention of the personnel away from actual business. Sometimes, too, various units of the organization may not be too keen on sharing information with each other. Company employees also need to be trained in order to be well versed with the ERP software. Version upgrades and other changes also mean additional training time. Finally, there is the cost. An ERP software is undoubtedly expensive compared to modular products. However an organization prefers it, the ERP software as a tool brings numerous benefits that will redound to the profitability of the business because it allows for hefty savings in time and expenses, and at the same time frees up resources that could be tapped for increased productivity. Looking for an ERP Software Provider? For a better understanding of our ERP Software we could set a meeting for you to see its core features. A demo will let you see SAP ERP Software in action so you could assess its critical features, pricing and the system's ease of use.